CAP’s Daniel J. Weiss, Susan Lyon, and Tina Ramos cook up a better bill from the most effective proposals. Senate Majority Leader Harry Reid (D-NV) announced on July 13 he plans to bring clean energy legislation to the Senate floor the week of July 26. The Politico reports, “Reid confirmed the bill will have four parts: an oil spill response; a clean-energy and job-creation title based on work done in the Senate Energy and Natural Resources Committee; a tax package from the Senate Finance Committee; and a section that deals with greenhouse gas emissions from the electric utility industry.” He said Senate leaders would spend the next week putting together a bill with these four titles. The approach could be akin to the children’s story “Stone Soup.” No villager alone had the ingredients to make a hearty meal for soldiers passing through their town, but each brought an ingredient and together they created a community soup. By the same token, no existing Senate energy bill has all of the needed components, but it is possible to craft a comprehensive clean energy and global warming bill that would actually achieve Reid’s four goals by combining the most effective provisions from a number of existing bills. Weiss, Lyon, and Ramos have gone through and examined the bills; what follows are what we consider to be the most effective provisions from existing legislation for each section outlined by Senator Reid. The BP oil disaster is the most severe environmental catastrophe in American history. The damage to public health, the economy, and the Gulf Coast environment from Texas to Florida could last for decades. There are a number of proposals that would address this nightmare or prevent future disasters. The Outer Continental Shelf Reform Act of 2010, S.3516Government cost: Not availableThis bill reforms the Interior Department’s management and oversight of ocean energy production, including more rig inspections. It also boosts the agency’s natural resources research and management. The Senate Committee on Energy and Natural Resources passed this bill on June 30, 2010. Big Oil Bailout Prevention Liability Act, S.3305Government cost: NoneThis bill amends the Oil Pollution Act to remove the $75 million cap on liability for offshore oil spills, replacing it with unlimited liability. The Senate Committee on Environment and Public Works passed this bill on June 30, 2010. Big Oil Bailout Prevention Trust Fund Act, S. 3306Government cost: NoneThe bill would eliminate the $1 billion spending limit on money from the Oil Spill Liability Trust Fund. It would allow advance payments from the fund to states to respond to an oil spill. S. 3306 has been referred to the Committee on Finance. The United States will heavily depend on dirty coal and oil until we make large investments of private capital to research, develop, deploy, and commercialize clean energy technologies. This includes investments in oil reduction, building efficiency, wind and solar power, and other clean energy technologies. There are many measures that would spur investments to revamp manufacturing, create jobs, increase energy security, and cut pollution. The American Clean Energy Leadership Act, S. 1462Government cost: $13 billionACELA includes some of these broad provisions for clean energy investments. The Senate Energy and Natural Resources Committee passed the bill on July16, 2009. But the Senate should not adopt the bill in its entirety because it includes some provisions that do little to speed the transformation to a clean energy economy. These include allowing oil drilling in protected, fragile area off Florida’s gulf coast, and expanding loan guarantees for nuclear power. Recommendations for adoption of some ACELA provisions are noted below. Establish a program to cut oil use by 8 million barrels per day by 2030, as in the Oil Independence for a Stronger America Act. Increase fuel economy standards for passenger vehicles by 6 percent annually beginning with model year 2017, also in the Oil Independence Act. Invest in electric cars, natural gas trucks and buses, and their infrastructure, as outlined in the Electric Vehicle Deployment Act, S. 3442 and the NAT GAS Act, S. 1408. We must rebuild our aging, inefficient electricity grid to transmit clean, safe, domestic wind, solar, and renewable electricity generated in rural areas to more populated places. A rehabilitated electrical grid, like other large infrastructure projects, is essential for nationwide economic growth. Rebuilding America’s electricity transmission system, ACELA, Section 121Government cost: NoneThis provision increases federal backstop authority to plan, site, and allocate costs for the construction of new transmission lines if states cannot act. It also improves federal standards for the implementation of digital smart grid technology within regional electricity distribution networks. It includes a cost sharing provision, but one that is so flawed and unworkable that it should not be included in the comprehensive Senate energy bill. Lack of access to capital is one of the largest impediments to the deployment and commercialization of clean energy technologies. The financial crisis exacerbated this problem, and obtaining capital and credit support remains difficult today. The Clean Energy Deployment Administration, ACELA, Section 105Government cost: $10 billionCEDA, also known as the “green bank,” would be an independent administration under the Department of Energy. It would increase access to capital for clean energy entrepreneurs and help get new technologies through the “valley of death” and to commercial scale in the market. Credit support would include direct loans, letters of credit, loan guarantees, and insurance. Reducing energy use is the “low hanging fruit” of greenhouse gas pollution reduction because there are many ways to save energy and money. HOMESTAR and BUILDING STAR programs, S. 3177 and S. 3079Government cost: $6 billion eachThese provisions would create market incentives to invest in energy efficiency retrofits of homes and commercial buildings. HOME STAR is pending before the Senate Finance Committee, while BUILDING STAR is pending before the Senate Energy and Natural Resources Committee. The House passed HOMESTAR with bi-partisan support. State energy efficiency retrofit program, ACELA, Section 262Government cost: $100 million, estimatedThis provision directs the Department of Energy to establish a national residential and commercial building retrofit program with grants for efficiency retrofits. States could provide grants for commercial building retrofits that reduce energy use by 20 percent. Energy Efficiency in Housing Act, S. 1379Government cost: NoneThis bill boosts energy efficiency in federal housing programs, creates an efficiency demonstration program for Section 8 federally subsidized multifamily housing developments, and establishes a revolving loan fund to help home and apartment building owners reduce energy use. Hearings were held in June in the Committee on Banking, Housing, and Urban Affairs. Energy efficiency building codes, ACELA, Section 241Government cost: NoneThis provision directs DOE to establish energy efficiency building code standards to improve efficiency for buildings built after passage by 30 percent over 2006 levels, and by 50 percent over 2006 levels for new residential and commercial buildings by 2016. States are responsible for building code adoption and enforcement. Restoring America’s Manufacturing Leadership through Energy Efficiency Act, S.661Government cost: $1.5 billionThis bill creates a State Partnership Industrial Energy Efficiency Revolving Loan Program to help commercial and industrial manufacturers implement technologies that reduce systems energy intensity and cut the use of energy intensive feed stocks. The Committee on Energy and Natural Resources held hearings on S.661. Energy from renewable sources””the sun, wind, earth, ocean waves, and biomass””is the future of energy. Other nations are vigorously investing in these clean energy sources. China, Germany, and Spain all have policies to invest in generating electricity from these clean sources and to develop the manufacturing capacity to export these technologies, as well. The United States ceded its leadership in the production of clean energy technologies during the past decade of neglect. Many states took the lead while the Bush administration ignored the worldwide shift to clean energy. Twenty nine states adopted renewable electricity standards, or renewable portfolio standards, that require utilities to produce a certain percentage of their energy from wind, solar, or other renewable energy sources. ACELA includes an RES, but Union of Concerned Scientists analysis determined that its exemptions would produce no more renewable energy than business as usual. Renewable electricity standard, ACES, Sec. 101Government cost: NoneACES’ renewable electricity standard would require utilities to generate 15 percent of their electricity from renewable sources by 2020. The new Senate bill should add an interim goal of 10 percent by 2013. This Senate bill should also add a 25 percent renewables requirement by 2025. A 2009 UCS study found that this provision would create nearly 300,000 jobs. ACES would also require them to reduce energy demand by 5 percent by 2020, and this should be included as well. The worst recession in 80 years has further shrunk an already battered manufacturing sector. The United States can help manufacturers recover by helping them reduce energy use and costs, as well as increase the domestic production of clean energy technologies. It is essential to train people to develop the skills necessary for the clean energy technologies of the future. Investments for Manufacturing Progress and Clean Technology Act, S. 1617Government cost: $3 billionThis bill would provide $30 billion for revolving loans to small and midsize firms so that they could retool, expand, or establish domestic clean energy manufacturing operations or make their facilities more energy efficient. Because this is a revolving loan program, the actual cost to the government should be no more than the potential default rate of 10 percent, so the cost to the government is approximately $3 billion. IMPACT would also fund the Manufacturing Extension Partnership Program, which provides technical assistance to manufacturers hoping to become more productive, efficient, and competitive. Energy worker training program funding, ACES, Section 422Government cost: An additional $25 millionThis provision would increase funding to $150 million annually for the Energy Worker Training Program created by the Green Jobs Act, which was included in the Energy Independence and Security Act of 2007. The tax code provides important economic incentives to reduce the risk to investors who make investments in new clean energy technologies. For instance, the production tax credit to help build new wind farms has been essential to keeping wind power competitive with old, dirty, cheap coal-fired electricity. It also saved more than 40,000 wind industry jobs in 2009. Big oil companies also receive billions of dollars annually from tax loopholes that should close. And these savings could fund some clean energy and jobs programs. The Senate Finance Committee has an unprecedented opportunity to use the tax code to boost private investments in efficiency and clean energy technologies that would save energy, reduce energy bills, and create jobs. Extend effective tax incentives in the American Recovery and Reinvestment Act, PL 111–5Government cost: Up to $50 billion, estimatedARRA established tax incentives that boost investments in clean energy. Several of them will soon expire. Their extension would keep private funds flowing so that firms don’t move to nations with more robust clean energy markets, such as China. Section 1603 of ARRA allows renewable energy firms to receive grants instead of clean energy production tax credits or investment tax credits for projects that begin before 2011. Extending this date to 2015 would keep private investments flowing to firms that are unable to use tax credits. Section 1705 of ARRA also authorizes DOE to provide loan guarantees to renewable energy, electric transmission, and advanced biofuels that commence construction no later than September 30, 2011. This date should be extended to 2016. The Energy Independence and Security Act established the Advanced Technology Vehicles Manufacturing Loan Program, which provides up to $25 billion in direct loans to eligible applicants for the costs of reequipping, expanding, and establishing manufacturing facilities in the United States to produce advanced technology vehicles and the components for such vehicles. These vehicles must provide significant improvements in fuel economy performance. Security in Energy and Manufacturing Act, S. 3324Government cost: $5 billionThe SEAM Act provides financial assistance to U.S. manufacturing companies to retool their factories. It extends the Advanced Energy Manufacturing Tax Credit (48C) for two years and increases available tax credits by $5 billion. This program would change to focus more on manufacturing than assembly of goods. Companies that could receive cash grants if they cannot use tax credits. The energy bill should at minimum include an extension of the 48C tax credit. The SEAM Act has been referred to the Committee on Finance. Close Big Oil Tax Loopholes Act, S. 3405Government cost: None; it saves nearly $20 billionThis would eliminate big oil and gas company tax deductions, including exemptions from deductibility restrictions and a percentage depletion allowance. Major crude oil and natural gas producers would pay a 13 percent excise tax on the production of Outer Continental Shelf oil and gas from federal waters. It would eliminate nearly $20 billion worth of big oil tax subsidies while preserving subsidies for small companies with less than $100 million in revenue. Provide more funds to the Oil Spill Liability Trust Fund, Baucus Substitute Amendment to H.R. 4213Raises: $17.7 billion over 10 yearsThe provision would increase revenue in the Oil Spill Liability Trust Fund by raising the fee on oil from 8 cents per barrel to 49 cents per barrel. This would provide more resources to clean up future oil blow outs and spills. There is currently $1.5 billion available in this fund. Global warming poses a huge public health, national security, economic, and environmental threat. NASA just reported that the previous decade was the hottest on record, while 2009 was the second hottest year. And temperature data from 2010 shows that the past six months were the hottest on record. The threat from global warming looms ever larger. Yet too many senators are reluctant to address this problem. Some senators deny the problem exists, while others want to maintain status quo energy policies in a futile effort to prevent changes to local industries. Still others are worried that big oil will spend millions of dollars or more to defeat them if they vote for action. The Senate usually requires a super majority of 60 votes to pass bills, and so there is almost no chance that it will pass a bill that reduces global warming pollution from the three primary emitters: coal fired power plants, motor vehicles, and large industrial sources. Yet we could make some real progress if senators were to support reductions for carbon pollution from at least one of the biggest sources””such as power plants. These are one of the largest sources of greenhouse gases in the United States, producing one third of carbon dioxide pollution. Utility industry lobbyists are pressuring senators to delay existing limits on power plant pollution, including acid rain, smog, soot, and mercury as part of a proposal to limit global warming pollution from utilities. President Obama or the Senate should under no circumstances agree to weaken health protections from these hazardous and toxic pollutants in exchange for a limit on carbon pollution. Senators should instead work with utilities, environmentalists, and other stake holders to ensure harmonious reductions of all these pollutants, including carbon. There are numerous reports about various senators drafting a declining limit on global warming pollution from power plants. Until these proposals are released and analyzed, the most effective provision might be one that incorporates ideas from various bills. These include the American Power Act, Clean Energy Jobs and American Power Act, S. 1733, and the Carbon Limits and Energy for America’s Renewal Act. Any utility-only proposal should include the following provisions, many of which are in APA, CEJAP, or CLEAR. Utilities should commit to do their share by reducing their emissions by 17 percent below 2005 levels by 2020 and 42 percent by 2030 (APA). The program should begin in 2013 (APA). Each emitter should have to have one pollution allowance for every ton of pollution it emits (APA, CEJAPA, CLEAR). Only power plants that emit 25,000 tons or more of greenhouse gases annually should be required to have allowances (APA, CEJAPA). The federal government should auction off the allowances, beginning with a minimum price of $14 per ton and a maximum price of $25 per ton in 2013. This floor price should level the price between dirty coal fired power and cleaner natural gas generated electricity. The floor and ceiling prices should rise by 3 percent per year plus inflation (APA). Only covered emitters should be allowed to buy allowances, and unused allowances should be sold in the government auction. No allowance trading between emitters would be allowed (CLEAR). Two-thirds of the allowances should be given to the local distribution companies, which must return their value to their ratepayers (APA). The proceeds from auctioning the remaining one-third of allowances should be invested in additional protection for low-income households; clean energy technology research, development and deployment; carbon capture and storage technology research and pilot projects; deficit reduction; and, protection of tropical forests (APA). 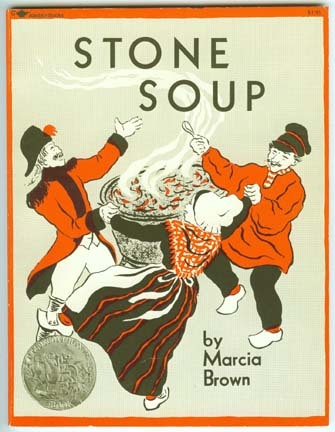 The villagers in “Stone Soup” were initially too selfish to provide the visitors with anything to eat. So the soldiers boiled a giant pot of water and added stones to it. One by one, the villagers added vegetables and other ingredients. When it was ready, the soldiers removed the stones and they joined the villagers in a feast. The Senate has been stymied for months because too many senators do not want to give the public what it needs: comprehensive clean energy jobs, oil reduction, and climate pollution reduction legislation. Some senators only want to address a small part of the problem. This one wants to invest only in energy research, while that one will only support a limit on some, but not all, carbon pollution. Senators should follow the villagers’ lead by contributing their most effective clean energy ideas to the comprehensive energy bill that Sen. Reid plans to offer on July 26. If they work together, Americans can anticipate a feast of more jobs, less oil use, a more secure nation, and less pollution. Will We Bet on a Clean Energy Economy?